Digi-Schlock: Q THE WINGED SERPENT (Shout! Factory Blu-Ray) – Schlockmania! Shout! Factory continues to pick up steam with each passing month, increasing their release schedule and regularly picking up titles. 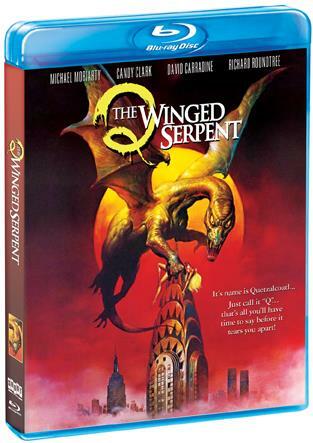 Some fans call them “the new Anchor Bay,” which is interesting when you consider one of their latest releases is a title that was once on Anchor Bay during the heyday of DVD: Q The Winged Serpent. Shout! Factory have given this title its first domestic release on blu-ray, which surprised some fans as it had most recently been a Blue Underground property (Shout has picked up a number of United Film Distribution titles like Day Of The Dead and The Kentucky Fried Movie, which explains its appearance as a Shout title). The results don’t have some of the technical bells and whistles that the much-loved Blue Underground DVD of this title had but it’s a solid edition with a truly great new extra. The transfer doesn’t have the visual “pop” of a lot of Shout’s Scream Factory releases do but this is most likely due to the nature of the film itself, which was shot on the cheap in a piecemeal fashion. The high-definition boost it gets here reveals how soft the photography is in certain parts of the film but it also enhances the overall levels of detail and color, with some closeup shots looking really impressive. The film’s original mono mix is presented in a lossless fashion here and is the only audio option. The results work just fine, with a solid blend of elements coming through clearly. A small complement of extras is also included. There are two trailers, one a teaser and the other a full-length spot that comes from a rough video source. However, the gem in the extras area is a new solo commentary track from writer/director Larry Cohen (note to fans: this is different from the Bill Lustig-moderated track on the Blue Underground DVD). Cohen is one of the greats when it comes to doing commentaries and he doesn’t disappoint here: he offers a steady stream of comments that cover the film’s unorthodox beginnings, the many real NYC locations used in the filming and discussions of the various problems that cropped up during production (like a brouhaha over the machine gun fire used in the finale). More interestingly, he offers some philosophical thoughts on the career trajectory of David Carradine and some fascinating details about his improvisational directing techniques, with a lot of captivating material about how he would reshape scenes in the middle of filming them with the equally experimental Michael Moriarty. The results are pure catnip for cult movie buffs and required listening for Cohen fans. 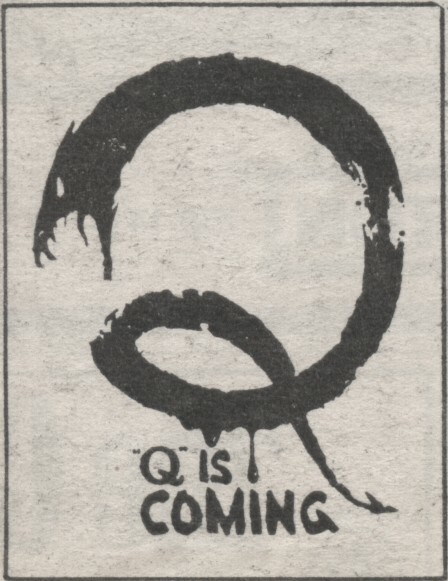 In short, this is a solid catalog title-style edition of Q The Winged Serpent for the blu-ray market whose value is enhanced by the excellent Cohen commentary. Owners of the old Blue Underground DVD will want to hold onto that for the different commentary and the stereo soundtrack remix but those interested in seeing Q The Winged Serpent in high-def will find this to be a convenient, cost-effective option. 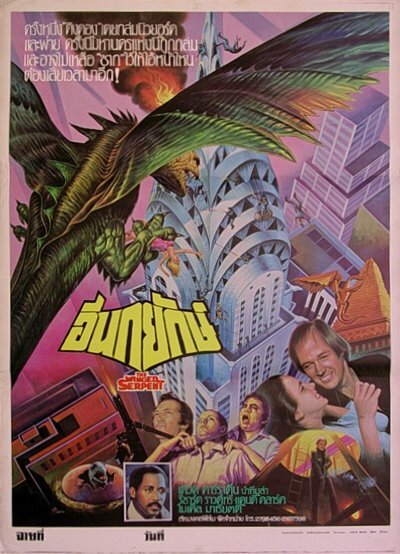 To read Schlockmania’s film review for Q The Winged Serpent, click here.